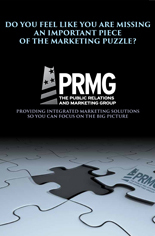 At the Public Relations and Marketing Group, we pride ourselves in providing integrated services to our clients. With this in mind, I wanted to share with you how we have been doing this through content creation, Web advertising, landing pages and email marketing to develop and nurture leads for clients leading to new business. While these techniques are highly applicable to any professional service organization, they are adaptable to just about every business. The Public Relations and Marketing Group is a full-service marketing firm founded by attorney John C. Zaher. For nearly 10 years, we have been specializing in attorney marketing, working with law firms to help them build their practices through advertising, marketing, public relations and Web development. Contact John Zaher today to learn how we can help your firm at johnzaher@theprmg.com or call (631) 207-1057 or (212) 201-1339.